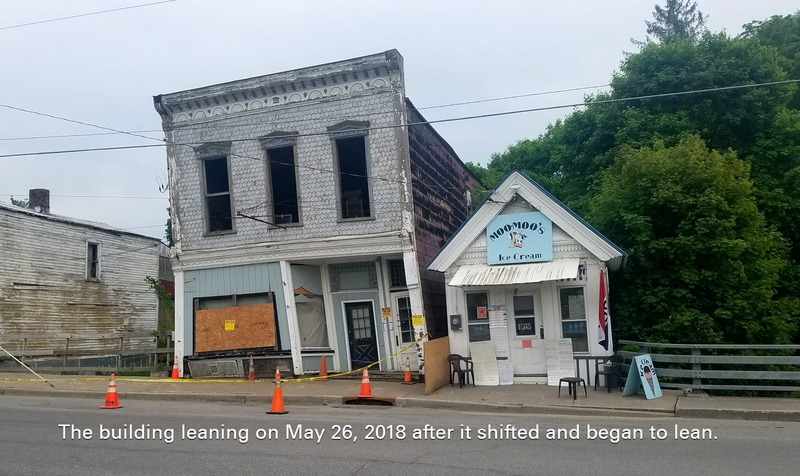 In May, 2018, the building beside Moo-Moo’s Ice Cream Shop, took a turn for the worse and began leaning, as if support beams were deteriorating. 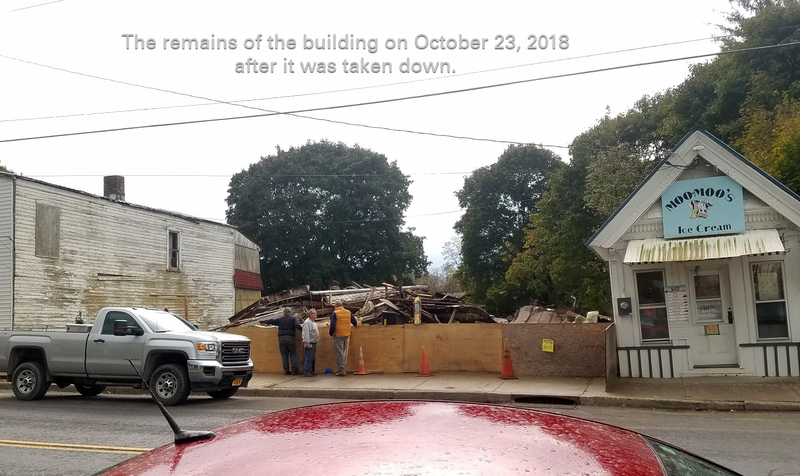 This past week, on the 23rd, the building was taken down. The building’s collapse was machinery assisted and supervised by the property owner. Since the building has come down, the area has been boarded off, and a sign stating “Progress Being Achieved,” has been placed in front of the rubble. 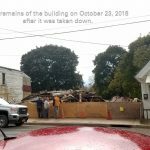 It is unknown whether the town of Edmeston or property owner will remove the remains of the building. Many have been nervous about the building leaning and potentially falling into the road or other nearby buildings. But, it did not impede traffic or harm any neighboring buildings in the collapse. The second round of the Section IV tournament concluded the season for the Boys’ and Girls’ Varsity Soccer in Edmeston. For the boys they survived the first round against Roxbury, 5-0. Then, they faced the 2nd seed, South Kortright to which they lost. For the girls they survived the first round against Hunter-Tannersville, 3-1. And, they face the 3rd seed, Schenevus to which they lost. Panther fans will have to wait for Basketball season to start up. As of right now, the first Boys’ JV and Varsity home game will be on November 29th against Madison. And, the first Girls’ JV and Varsity home game will be on November 28th against Stamford. The Edmeston Central School National Honor Society is hosting their annual Halloween Hustle 5k run and 2 mile walk on Saturday October 20th. This race is tied into a day of events with Spookfest in downtown Edmeston all-day. Registration for the race starts at 8:15 a.m. and the race begins at 9 a.m. Participants can pre-register by October 12th to get a discounted fee. After the 12th and on the day of participants can still register for a slightly higher price. T-shirts are guaranteed to participants registered before the 12th. Prizes will be drawn at the end of the race and there will be a best costume contest and pair costume contest. For registration forms you can pick one up at the security desk at the Edmeston Central School or see any NHS member. Tim Simmons, eagle scout candidate, from Troop 9 of Edmeston finished his Eagle Scout Project last weekend. 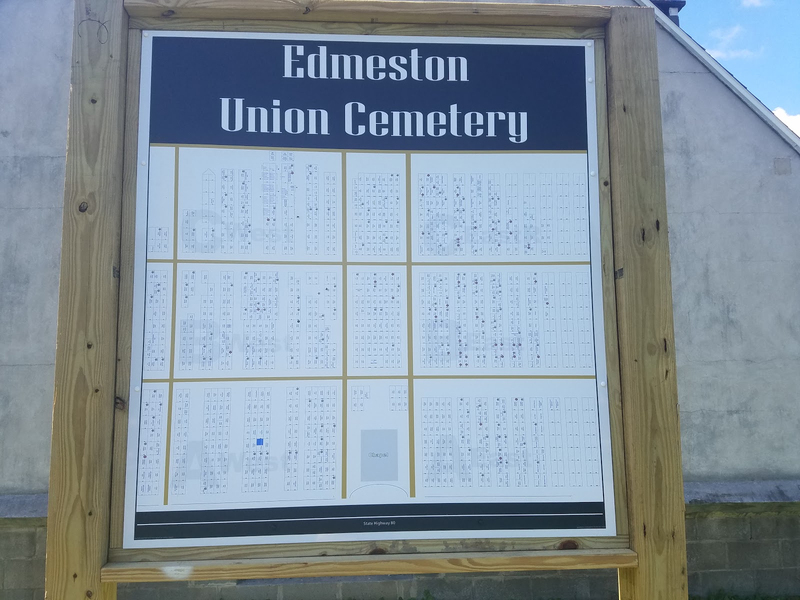 His project, completed at the Edmeston Union Cemetery, provides a map of the cemetery with the names of the plot owner and he separated the cemetery sections into zones to make them easier to find. In the cemetery there are markers on the graves of all past veterans, police officers, and firefighters. Each Memorial Day, flags are put in the markers to honor them. 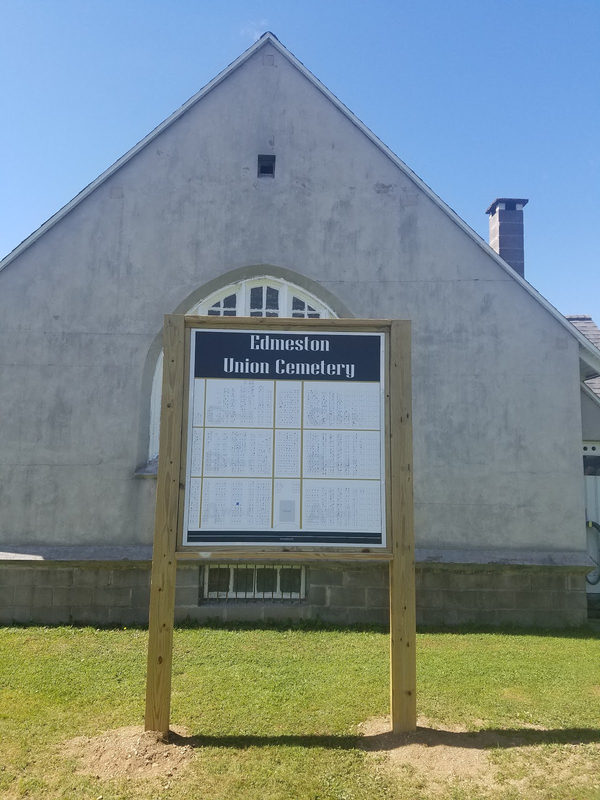 The reason for the project Tim stated, “was to have a record of where these markers were in the event of a missing or damaged marker.” He continued that his project would assist family members and relatives in finding where their relatives are buried. Get ready for the races coming to Unadilla MX! The 10th Round of the Lucas Oil Pro Motocross Championship returns again to New Berlin for the Massey Ferguson Pro National MX. This racing weekend will bring fans from all over to New Berlin and the Unadilla track! The events will kick-off on Friday when gates open for spectators at 6 AM for the Ammeter Racing from 10:30 AM to 6 PM and the Pit BIke National Parade following. Then on Saturday, August 11th, fans will get ready for the nationals with gates opening at 6 AM, followed by qualifying racing at 8:15 AM, and the Pro Race gate drops at 1:00 PM! Following the hype of Saturday will be more amateur racing on Sunday with racing at 7:30 AM. This weekend is less than a week away, ready or not Motos are coming to UNADILLA! Around 3 P.M. Sunday afternoon the Otsego County Sheriff’s Office, New York State Police, Milford Fire, and Milford EMS responded to the area of Bob Wilson Road near Goodyear lake for a missing child. The child, identified Monday as Andrew James Durkin, was described as a 3-year old male, wearing a Star Wars T-shirt and dark colored shorts. At 5:12 P.M. that evening the Otsego County Sheriff’s Office posted an update to their Facebook page stating “there is no longer an active search,” but, “the incident is still active.” This morning we learned that the 3-year old was pronounced dead after being rushed to A.O. Fox Hospital in Oneonta. The boy was discovered in Goodyear lake and resuscitation efforts were performed on-scene and during transport to A.O. Fox Hospital. This is truly tragic news and my deepest condolences go to the family. Camp Pathfinder campers, young adults taking part in summer adventures at Pathfinder Village, will start a new tradition this season– enjoying campfires using a new fire pit built by Eagle Scout candidate Colin Fadale, 17, of Troop 120, Hamilton. Among this summer’s campers is Colin’s brother, J.T., 19, a second-year camper who is a day student at Pathfinder School during the academic year. Pathfinder Village, founded in 1980, is a residential community for people with Down syndrome and other disabilities and provides a wide array of individualized educational, residential, vocational and enrichment services. Colin, the son of Sean and Stephanie Fadale, will be a senior at Hamilton Central School in September and is active in community organizations and a member of the football, basketball and baseball teams. He developed the project and submitted his proposal to Pathfinder’s administrators last summer and to the BSA’s Leatherstocking Council in Utica in February. A key part of his work plan was to involve J.T. and other members of the Pathfinder community during construction; throughout the project, he was focused on making the project safe and inclusive for assistants with varying abilities and levels of construction knowledge. During the spring, Colin worked with Pathfinder’s Sr. Director of Quality Assurance Dan Osborn and contractor Mike Rifanburg of Rifanburg’s Lawns & Landscapes, Edmeston, to finalize the design, order materials, and plan the order of work. Colin supervised safety measures and building details during construction on Memorial Day, relying on a work team that included J.T., his parents; Eric Mackiewicz and Jared Okun, members of Pathfinder’s Adult Day Services program; and fellow scouts Riley Janczuk and Jacob Hill, Hamilton. Mr. Fadale serves as the Assistant Scoutmaster for Troop 120, Mrs. Fadale is on the Troop Committee and is also the vice chair of the Pathfinder Village Foundation Board of Trustees. Other successful Eagle Scout projects at Pathfinder Village include a perimeter fence around Grant’s Field, a youth soccer facility for community-use, built by John Knorr of Troop 9, Edmeston in 2014, and the soccer field’s Snack Shack, which was built by Mark Johnson also of Troop 9. Pathfinder Village is an internationally respected open-access community and services provider in upstate New York, and was founded in 1980 to provide people living with Down syndrome and other disabilities an independent and fulfilling lifestyle. As it works to provide quality supports for individuals with intellectual disabilities, the Village also offers highly successful educational, day services, pre-vocational and outreach programs. To learn more, visit http://pathfindervillage.org, or visit our fan page on the popular social networking site, Facebook. The Cooperstown Chamber of Commerce hosts an awards show each year for Businesses in the area. The Chamber awards the Rookie of the Year, Most Innovative, Best Place to Work, Giving Back, and the Business of the Year awards to varying local businesses. The winner is determined by community members voting online. This year, the 2018 winner for the Best Place to Work was awarded to Pathfinder Village, the Down Syndrome Community. From the President and Chief Executive Officer Paul Landers, to all the staff at Pathfinder Village they have a devoted team who pursue to help to meet the mission of Pathfinder. Also, the 2018 Giving Back award was honored to New York Central Mutual Insurance. Since its beginning in 1899, NYCM has served the community very actively, by offering a great presence and support to many local organizations. These two businesses will be honored with all the others at the Uptown Hoedown on May 31st at The Farmers’ Museum. Finally, on May 6, 2018, three Brothers from the Farmers’ Lodge #553 F & AM of Edmeston, NY, left the Masonic Care Community to go to the Grand Lodge of masons in New YOrk City. David Holbert Master, John Murray Senior Warden, and Earl Wilkinson District Deputy went to vote on the new Grand Lodge Officers. On their way down they visited the Franklin Roosevelt Museum and all arrived home safely on Tuesday Night. This Monday, June 11th, is the last day of classes for Edmeston Central School students in grades 6th through 12th. For high school students, many will have Regents Exams throughout the next two weeks. For students in Pre-K through 5th grade, their last day will be Friday, June 15th. Graduation for ECS Seniors will be held on Sunday, June 24th at 1 PM, in the School Auditorium. With the end of the school year, I will have an exclusive interview with the Superintendent Dr. Gary Furman, on his past few years at Edmeston and his plans for the coming school year. The West Edmeston Parade will begin at 9 A.M., finishing at the Firehouse where the ceremony will be held. Following that is the Edmeston Parade which will follow the regular route, starting at 11 A.M. And the ceremony will be on the school front lawn, with this year’s main speaker, Justin Brown. Finally, the Burlington Flats parade will start at 1:30 P.M. and have a ceremony to follow at their Veterans’ Park. 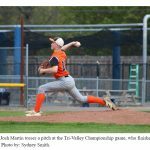 Last Wednesday, May 16, 2018, the Edmeston Baseball team took the Tri-Valley League Baseball Championship by defeating the first-seed Franklin Purple Devils. 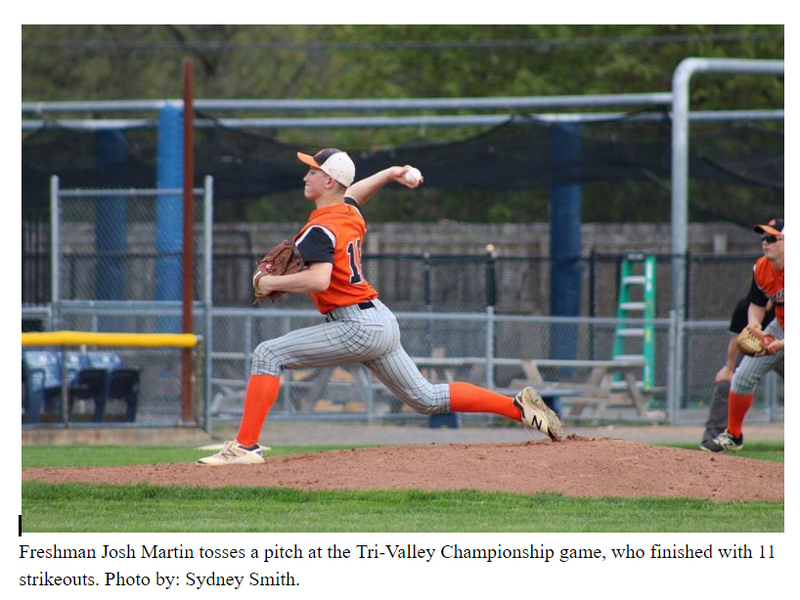 The Edmeston Panthers now have three consecutive Tri-Valley Championship wins, deeming their win a “three-peat.” The Panthers took the win 8 to 1 over the Franklin Purple Devils, making it the Devils first lost in the season. As you have been driving throughout town this month, you may have seen some plastic pink birds on the lawn of residents. No, these are not permanent, but are a friendly prank that you can pull on your friends and family. This is the second year that the ECS Band has hosted this Flamingo Flocking Fundraiser. Every two days these flamingo flocks will move to a new house and surprise some more homeowners. If you would like to join in on the fun you can call the school at (607) 965-8931. On another note, this year’s Junior Prom for Edmeston Central School will be this Saturday the 19th. Crowning is open to the public and will be at 6 PM in the ECS Auditorium. Then, Prom will be hosted at Hogs Hollow Barn, in Burlington Flats, at 7 PM. This past Saturday, May 5, the Edmeston Free Library hosted their 1st Annual Community Garage Sale day from 9 a.m. to 2 p.m. All throughout Edmeston over thirty residences hosted garage and yard sales, while the library held a chinese auction and bake sale at their proposed new location. 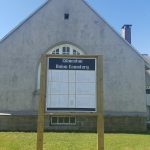 This event comes a week before the community members of the Edmeston Central School district vote for the proposition for the library to become part of the budget. The school budget vote will be Tuesday May 15, 2018 from 12PM to 8PM at the school. The first part of the vote will be the election of adding two seats to the School Board of Education, each seat set at a three year term. The second part will be the proposition to purchase and the issuance of Bonds for three buses: a 63-passenger, not to exceed $119,000, a 54-passenger wheelchair modified, not to exceed $131,000, and a 30-passenger, not to exceed $60,000. Following these propositions is the Edmeston Free Library proposition to levy taxes, in the amount of $20,000. If approved these, funds would support maintenance and technology updates for the library. This levy would remain in the budget, if approved, without further approval, unless they wish to change the total amount. And, this Friday and Saturday the Edmeston Tea Circle will be hosting a bake sale at the Art House on West Street. On Friday from 12PM to 3PM, and Saturday 9AM to 12PM. This bake sale is to support the Edmeston Tea Circle scholarship for Edmeston Seniors. Last Saturday, April 28th, the West Hill Terrace Apartment Complex was very busy getting cleaned up for Spring and Summer. Approximately 7 adults and 25 students worked together on these clean-up projects. The students were from clubs including Safety Patrol, the Rotary Interact Club, National Honor Society, and the Varsity Baseball team. 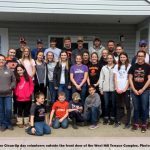 They all worked on various projects including yardwork, porch clean-up, window washing, and more for the residents of the Complex. Many of the residents are unable to do these projects and coordinated with the project leader, Laura Porter, to organize a list of projects to be done. Mrs. Laura Porter is very community-oriented and community-involved, she coordinates the Potter’s Place After School Program, ECS Backpack Program, and many other programs. On another note, the 1st Annual Edmeston Free Library Community Garage Sale Day is set for this Saturday May 5th, activities are scheduled to start at 9 AM., including activities at the Library and the Edmeston Firehouse. Garage Sale locations can be found on maps that will be available throughout town. And, this Sunday is the second-to-last Donation Breakfast for the Edmeston Fire Department, as always from 7 AM to 10:30 AM. On Friday, April 20, 2018 students from 6th grade to 12th grade attended a student-led assembly in the auditorium. This assembly was held on the 20th, which marked the 19th anniversary of the Columbine School Shooting. Edmeston Senior Sydney Murray led the assembly focusing on making a change. With that, the presentation was centered around the story of Rachel Scott. After Rachel Scott died, her family started a program that pursues her theory and shares it with schools around the country. This theory was shared with students at the assembly and throughout the rest of the day. During the rest of the day, students wrote their promises and commitments to kindness on a slip of paper, which were bound together to form a chain with these commitments from students Pre-Kindergarten through 12th Grade. In addition to that, during lunch, students signed a poster which stated “ECS commits to start a chain reaction of Kindness.” This poster now hangs in the hallway of the school with the chain of commitments. The Edmeston Free Library has been busy planning to return a great community event, the Edmeston Community Garage/Yard Sale Day. On Saturday, May 5, 2018, from 9 A.M. to 2 P.M., the library will host a Chinese Auction at the Edmeston Firehouse and local community members can set up their garage or yard sales. The library is looking for new or gently used auction items for the Chinese Auction, which can be donated at the library, during regular hours. If you would like to become part of this first annual event and host your own sale, you can get your home on the map for five dollars, which can be donated at the library. Never been to the library? Check it out, and check out a good book. The library is open Tuesday through Friday, Noon to 5 P.M., and Saturdays 9 A.M. to 2 P.M. The weather we have experienced has been crazy, back and forth between winter and spring. The late snowfall has caused the season of baseball and softball to wait for better weather. At this time Edmeston Central School has cancelled a handful of their games due to snowfall and accumulation. On the other hand, local snow removal businesses have been enjoying the late snowfall as they have still been plowing for the light accumulation. This late spring has had many griping and wishing for better weather to come. Some suggest that this late spring will lead to a warmer summer. Over twenty days past the Spring Equinox, weather forecasters are now concluding that winter is slowly losing its grip on spring. The Pathfinder Village produce market recently celebrated their 5th Anniversary and with that, the Market introduced online ordering for the Market. Currently, the Produce Market is every Thursday from 1 P.M. to 5 P.M. at 3 Chenango Road, Edmeston, NY. The online ordering is available through Pathfinder Village’s website or by going to market.pathfindervillage.org. Ordering is available from Friday at 10 A.M. to Wednesday at 12 Noon, and pick-up is during the market’s regular hours. The Market invites the community to interact with residents and purchase fresh produce at a reasonable price. In other news, the town of Morris has a new event center and venue, located at 193 County Highway 49, Morris, NY. The Grove of Butternut Valley will be hosting an Open House from 1 P.M. to 4 P.M. this Saturday, April 7th. The newly renovated facility is now booking events including Weddings, Anniversaries, Baby Showers, and more. For more information you can go to thegroveofbv.com and stop into their Open House to enjoy horderves and cocktails as you check out this new facility. 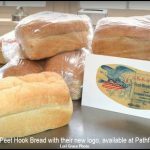 The Pathfinder Village Bakery is proud to announce their latest treat, Peet Hook Bread. This new treat comes following some research conducted by the Village Baker Gary Gelatt and the staff of the Edmeston Museum. Together Gelatt and the staff found a label for “FREEDOM Peet Hook Bread baked by the Edmeston Bakery.” After further research they discovered that this bakery produced up to 250 loaves of bread in 1901. Edmeston was settled by Europeans during the American Revolution and the dutch settlers called the hamlet “Peet Hook.” The dutch used “Hoek,” meaning corner, to call a place a hamlet. And Peet came from the local tavern keeper, Benjamin Peet, at the town’s first hotel, located where the present firehouse is. To honor the community’s baking traditions Gelatt has developed his own version of Peet Hook bread, with a very simple recipe and no high fructose corn syrup or preservatives. This bread is great for grilled sandwiches, french toast, and freezes well. 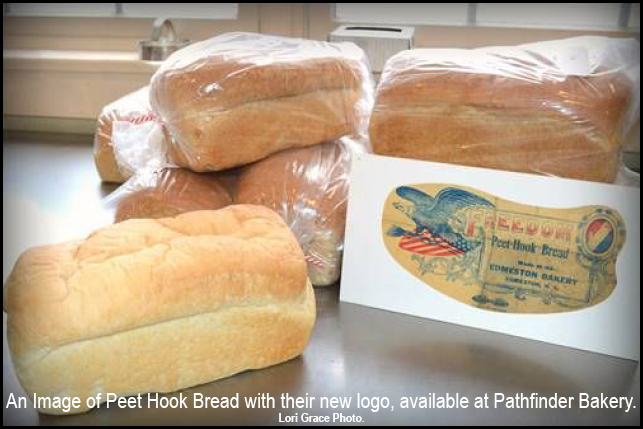 If you’d like to try the Peet Hook bread for yourself, you can buy a loaf at the Pathfinder Village bakery Monday through Friday 7 A.M. to 3 P.M. & Saturdays 7 A.M. to 12 P.M. Or try some of the many other types of breads Gelatt makes, including Multi-Grain, Honey Wheat, Cinnamon Raisin, Pumpernickel, Rye, or Sourdough. The St. Baldrick’s Foundation was created in 1999, and the first head-shaving event was held on St. Patrick’s Day in Manhattan and had 19 bald heads and $104,000 raised for Childhood Cancer Research. This has now grown to over one million dollars raised, in 2002, over five million dollars in 2005, and most recently nearly thirty million dollars raised for research, in 2014. This year, Karen and David Delker, of Edmeston, are joining in to support the cause this year, by shaving their heads. They are going under the shaver on March 24th at the Norwich American Legion Post. Karen said, “We chose to help by raising money and shaving our heads… to stand with the little babies that lose their hair during their treatment.” They want to help to fund research and you can help them reach their goal. You can donate online at stbaldricks.org, go to Spike’s Pizza, A.C. Hoyt’s Hardware, and Rustic Ridge Winery, or call Karen & David at (607)-965-8542. This funding has been put to work and, in 2015, the FDA approved a new drug, specifically, for Childhood Cancer and has “drastically increased the cure rate,” for certain patients, according to stbaldricks.org. This is truly a great cause and I would hope that you donate, if you can, to support the Delker family, and the Child suffering from Childhood Cancer. The Edmeston Central School Music Association proudly presents Seussical the Musical in the ECS Auditorium at 7 PM on this Friday, March 9th and 1 PM & 2 PM on Saturday, March 10th. Seussical enters the world of Dr. Seuss, combining many stories he has written over the years. Watch as Horton the Elephant finds the tiny clover of Whoville and the story of the smallest Who of all, trying to save them all. This musical is an adventure taking the audience on a roller coaster of fun exploring the imagination of Dr. Seuss, making everyone feel like a child again. Tickets, $7 each, are now on sale in the ECS Business Office, to buy tickets you can call (607) 316-8931. Or you can buy any remaining tickets at the door, before the show. As classes resumed following February break at Edmeston CSD, students were welcomed with an assembly with Mrs. Nichols, Principal of students. Their assembly was focused on the concept of “See Something, Say Something,” encouraging students to speak up, about anything they see that could be a threat towards the school. This assembly comes following the Parkland School Shooting in Florida, and the threat made against the Edmeston School District in November. The school district will be tightening security of the entry points to the school and their visitor policies, increasing safety to students. They plan to release a letter to the parents in the district updating them on the new policies. After the assembly I spoke with Mrs. Nichols, she discussed how the District has run drills in the past and are hoping to work to get Active Shooter Training in the building, although it is unknown whether this training will be for students or faculty. I also spoke with, Superintendent of Schools, Dr. Furman, he confirmed, with Mrs. Nichols, that the administration will be meeting with the New York State Police and local law enforcement officials. This meeting will be focused on reviewing the current policies and systems in place for such situations. From this meeting, they will revise any procedures necessary and, he mentioned the possibility of structural changes, if needed. Dr. Furman considers the possibility of active shooter situations as a “concern,” and mentioned the role that social media plays in these events. Lastly, he mentioned the factor of mental health issues, citing that they are on the rise at nearly all levels, county, state, and country. This is a developing story, that will have updates on as the information becomes available. The Edmeston Central School Music Association proudly presents Seussical the Musical in the ECS Auditorium at 7 PM on March 9th and 1 PM & 2 PM on March 10th. Seussical enters the world of Dr. Seuss, combining many stories he has written over the years. Watch as Horton the Elephant finds the tiny clover of Whoville and the story of the smallest Who of all, trying to save them all. This musical is an adventure taking the audience on a roller coaster of fun exploring the imagination of Dr. Suess, making everyone feel like a child again. Last Saturday, February 10th the Edmeston Varsity Boys faced off against Gilbertsville-Mount Upton Varsity Boys Basketball team for the 2018 Tri-Valley League Champion Title. The boys played at the Dewar Arena on the SUNY Oneonta Campus. The Boys Championship game started following the nail-biting Girls Championship game, featuring Franklin and Morris girls. Just 1:15 into the game Freshman Josh Martin put the Panthers on the board with a layup. Sparking an intense first quarter, finishing the quarter tied 15 to 15, where Junior Derek Lyon led scoring with seven points. At halftime, the Panthers were able to pull a slight lead of 29 – 27 over G-MU, where Josh Martin held the team high of 13 points. At the start of the second half, the G-MU Raiders were able to gain on the Panthers finishing the third quarter ahead, 42 – 51. In the last quarter the Raiders maintained the lead, much similar to the in-season game between the Panthers and Raiders. And for the final, the G-MU Raiders defeated the Edmeston Panthers 63 to 51, to take the 2018 Tri-Valley League Title. Edmeston’s Josh Martin poured in 28 points and Derek Lyon contributed 14 points for the Panthers. For the G-MU Boys, Senior Hunter Lockwood had the team high of 18 points and scored his 1,000 point on the foul line during the second half. He is the first player since Gavin Backus in 2001 for G-MU, where they were both playing Edmeston when they reached the milestone. Both teams played a good game and made for an intense night at SUNY Oneonta, especially following the Girls League Championship. On the other hand, the Edmeston Lady Panthers finished out their season with a Tri-Valley consolation game against Cherry Valley-Springfield with a win of 41 – 31. Sophomore Madison Bolton held the team high of 13 points for the Lady Panthers. And Senior Cassie Menendez scored for the Lady Panthers, for the last time, 9 points. This is not the end of the year for the Boys team as they will enter the Section Four play-offs this coming week, as students are on Winter Recess. From January 29th to February 2nd, Edmeston Spanish IV students executed the School’s first annual international week. Monday through Friday, the cafeteria served cultural food from five different regions, including Germany, the Middle East, France, Asia, and Mexico. Students also served samples of food from those regions, during the lunch period. Students also planned multiple contests for throughout the past week. On Tuesday they hosted an International Trivia Contest and Thursday they hosted an International Cooking Contest. And, throughout the week they hosted a mystery greeter contest, where a different teacher would say “Good Morning,” in a different language, and students would guess on the teacher and language. This very fun week, was executed very well, and was good to incorporate international cultures into the students every day life. In other news, the underdogs succeeded, the Philadelphia Eagles won the teams first Super Bowl against the New England Patriots, 41 to 33. This Sunday, February 4th, at least a million football fans will be at U.S. Bank Stadium in Minnesota, while tens of millions will swarm to their televisions to see the 52nd Super Bowl. The New England Patriots playing as the home team will face the Philadelphia Eagles. This game will be hosted in the northernmost location for a Super Bowl game ever, Minneapolis. The National Football Conference (NFC) East, Eagles, have not been in the Super Bowl since Super Bowl XXXIX, in 2004, where they were defeated by the New England Patriots in Jacksonville Florida. On the other hand, this will be the New England Patriots ninth visit to the Super Bowl stage since 2000. In that time they have won five of those visits. While fans watch the game, there is also a growing amount of viewers watching for the commercials and halftime spectacle. In 2004, at the teams’ last match-up, a thirty second Super Bowl commercial costs over two million dollars. This year, fourteen years later, a thirty second Super Bowl commercial, expectedly, costs over five million dollars. A hefty increase, while viewers have increased by the millions. And lastly, before the big game, support the Edmeston Fire Department at the their monthly donation breakfast, this Sunday from 7 to 10:30 in the morning. Enjoy a fun and safe Super Bowl Sunday. On Monday, January 8th the Edmeston Free Library Board of Directors held their annual meeting at the Edmeston Free Library. At this meeting, past board president, Barb Turnbull, handed the responsibilities and duties of board president to Joel Staples. The following Saturday, I met with the new president at the library. We began our talk by discussing the accomplishments for 2017, where he explained that the library has, “prepared for the task at hand.” According to Staples, the library has prepared to execute the projects that the community is looking for. These projects are based from community surveys. Now that Joel Staples has stepped into the role of President, he is “excited about the challenges at hand,” further stating, he is “ready to give it my best shot.” He is hopeful to help and lead the library to fulfill the, above stated, projects and tasks of the library. As with the role of President there are worries, of which, Staples explained, he fears that the library “won’t deliver in a timely manner to the community.” Further mentioning that the projects and tasks at hand are going to take time. He wants the community to understand that they are working to achieve their goals, but it will take time. Staples plans to make everything “very clear to the community,” with what is happening, “and being very transparent,” about it. Looking ahead, I asked Joel Staples about the library and boards’ plans for 2018. The big plan for 2018, is to be fully automated by the end of this year. Staples informed me that, “automation was recently signed in with the four county [library] system (FCLS),” meaning that the library district, that Edmeston is a member of, has gotten confirmation that the library will be automating, with the FCLS assistance. With this big step beginning, I asked him when changes will begin to be noticeable. The board president, mentioned that an immediate change will be the expansion of hours for the library. Throughout the rest of this year, I plan to have more “sit-downs” with members of the library, including the librarian, board members, volunteers, and patrons, to keep up with the changes at the library. EDMESTONNY.ORG EXCLUSIVE: Sirens, Sirens, Sirens! 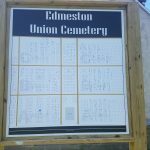 The Edmeston Fire Department’s fire whistle became a familiar sound over the weekend of January 19th to 21st. 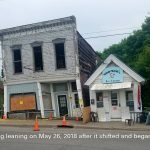 Beginning on Friday the 19th, at around five o’clock in the evening, fire crews responded to the neighboring town of Pittsfield for a structure fire. Following that call, until five o’clock in the morning of Monday, the 22nd, the Edmeston Fire Department responded to six fire calls. A total of six calls over sixty hours, which works out to being one call every ten hours. In the small town of Edmeston, the Volunteer Fire Department can go weeks on end without a single emergency. This weekend, they definitely were busy. They responded to a variety of calls over the weekend, from fires to car accidents, and more. 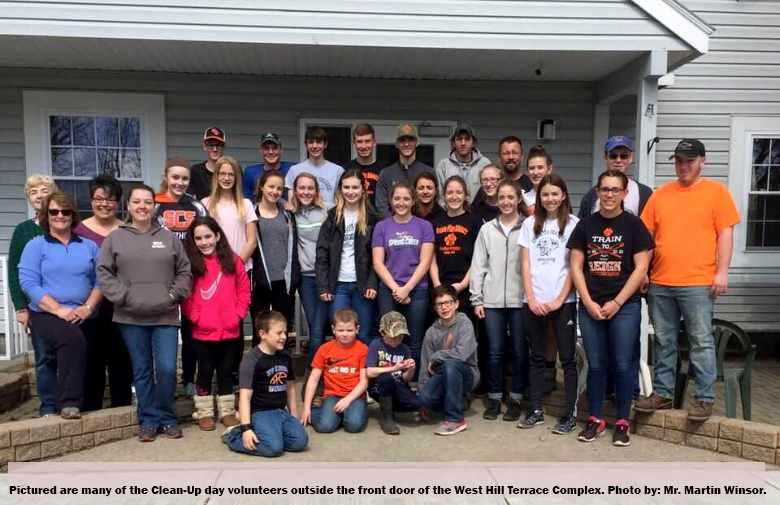 In the calendar year of 2017, the Edmeston Fire Department responded to approximately ninety-three calls, totaling up to nearly eighty-six hours of volunteered time. After this weekend, they have reached the thirteenth call for 2018. This marks nearly 15% of the calls they responded to in 2017, in less than thirty days of this year. Not to mention, the Edmeston Emergency Squad, has had countless more calls in 2017 and 2018, as well. If you would like and opportunity to thank these volunteers and give back, the Edmeston Fire Department hosts their next monthly donation breakfast in a few weeks, on Sunday, February 4th from 7 to 10:30 A.M. They will be serving, scrambled eggs, home fries, sausage, bacon, french toast, and pancakes. Thank you to the men & women who volunteer and have volunteered to keep the people of Edmeston safe!